New pollen chart helps identify when sufferers should start using eye drops. As spring arrives and the hay fever season kicks in, the College of Optometrists has developed an easy-to-use infographic to help sufferers identify when they are most at risk of developing symptoms of hay fever and take appropriate medication to minimise their allergy. The infographic shows the peak season for each of three pollen types in a calendar. The College is urging those with hay fever to identify which pollen triggers their hay fever and then consult the infographic to predict the timeframe in which they are likely to be most sensitive. Doing so will enable them to take the most appropriate medication at an earlier stage. An optometrist can advise on the best medications to alleviate the most common effects of hay fever associated with the eyes. Daniel Hardiman McCartney, Clinical Advisor at the College of Optometrists said: “Hay fever can often affect the eyes, causing them to be very red, itchy and swollen. People who suffer from hay fever may have an allergy to tree pollen, grass pollen or weed pollen. 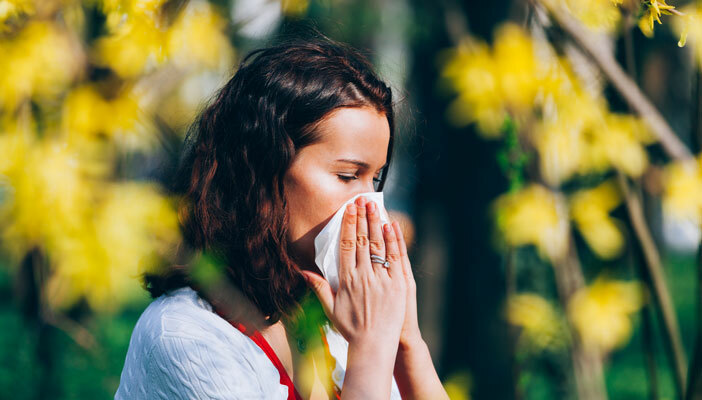 While trying to avoid pollen as much as possible will help lessen the symptoms, sufferers can also visit their optometrist to get medicated eye drops to help alleviate the itching and swelling. Avoid pollen as much as possible by closing windows and keeping surfaces clear with a damp duster. Wear sunglasses which can help to protect your eyes from dust and pollen. Visit your optometrist or pharmacist for advice and to get medicated eye drops to help alleviate the itching and swelling. If you wear contact lenses, remember to check if you can use the drops while your lenses are in. When the pollen count is very high it can be more comfortable to wear your spectacles rather than your contact lenses. You may feel more comfortable by avoiding wearing contact lenses in hot, dry or dusty conditions or when you are gardening, particularly when mowing the lawn, as grass particles and pollen can become stuck behind the lens and cause discomfort. If your eyes become dry, seek professional advice from your optometrist, pharmacist or GP. They may prescribe lubricating eye drops to ease the dryness. Hay fever is the term used when a person has an allergic reaction to pollen. It is one of the most common allergic conditions. It is estimated that there are more than 10 million people with the allergy in England. The most common symptoms of hay fever are itchy eyes and nose, sneezing, runny or blocked nose and difficulty in breathing.